Other than the holiday itself, the best part for me is flying and just generally being in the airport. When going on family vacations when I was younger, there was nothing more exciting than going around all the shops and then sitting and watching the planes take off and even though I'm nearly 24, that hasn't changed much. Instead of buying toys and sweets though, I've now moved onto makeup and perfume and when I recently went to Paris last month, these were the two things that I did decide to pick up. 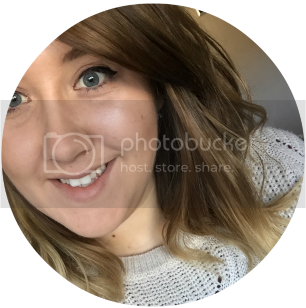 A few months ago, I got a small sample size bottle of the new Boss fragrance called Jour free with a purchase from Superdrug and I absolutely fell in love with it. It's described as being "an elegant floral fruity fragrance inspired by the first light of day" and it is to die for. Unfortunately for me though, it was a little out of my price range at £49.50 for a 50ml bottle. Now I know that's not extremely overpriced but since I was obviously paying for my holiday, I couldn't afford to be spending that much on perfume :( Luckily for me though, it was there waiting for me when I entered duty free and it even came with a lovely £36 price tag so holding off buying it saved me £13.50! 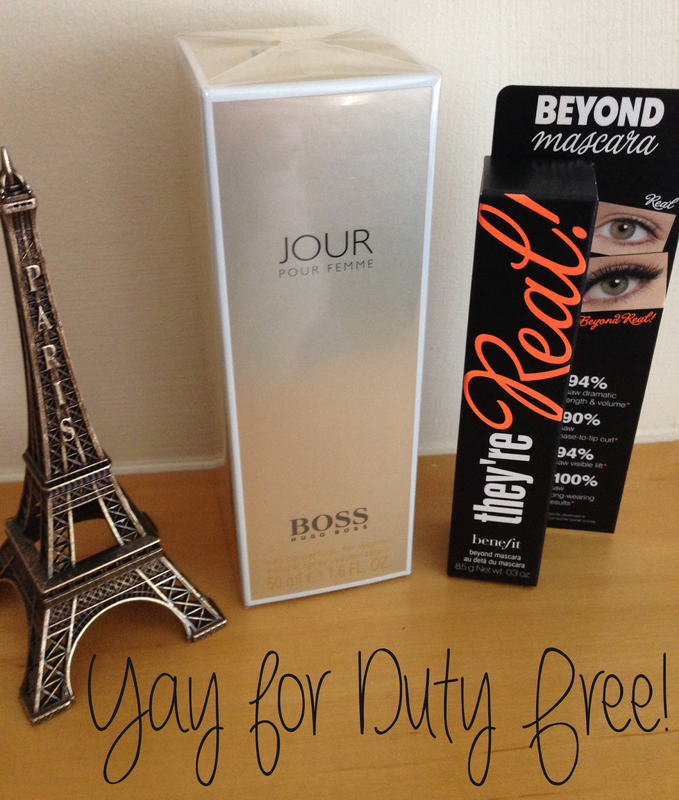 Another product I was eager to try was the Benefit They're Real! Mascara. Now when it comes to make-up, I am religiously high street as I really don't see the need on spending lots of money on make-up that does just a good of a job than the cheaper products but I do keep seeing reviews about this mascara and I have to admit, it has intrigued me. While I was looking around Duty Free, I did spot it out the corner of my eye and I couldn't just say no to it. It came up for £16.50 which worked out to £3 less than buying in the shops. Not as much of a saving as the perfume, but it's still a saving! I did have to stop spending at this point or I would have had no money for my holiday but there are so many different things I could have brought. It's definitely worth bringing extra money just for the duty free!